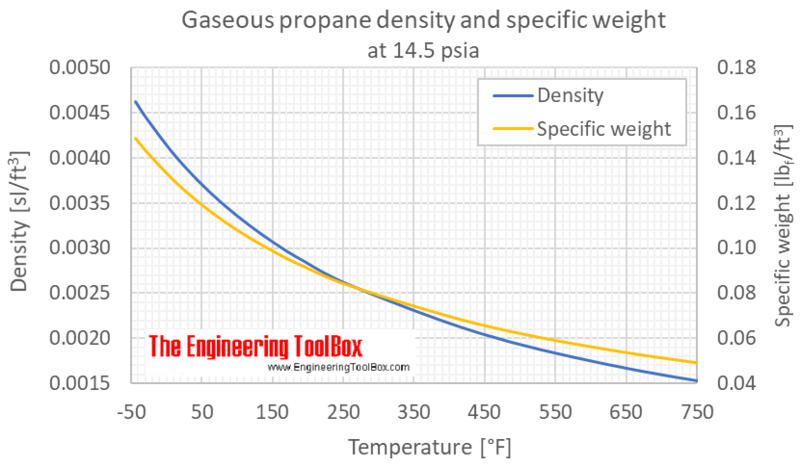 Tabulated values of propane density and specific weight at given temperature and pressure (SI and Imperial units) as well as density units conversion are given below the figures. 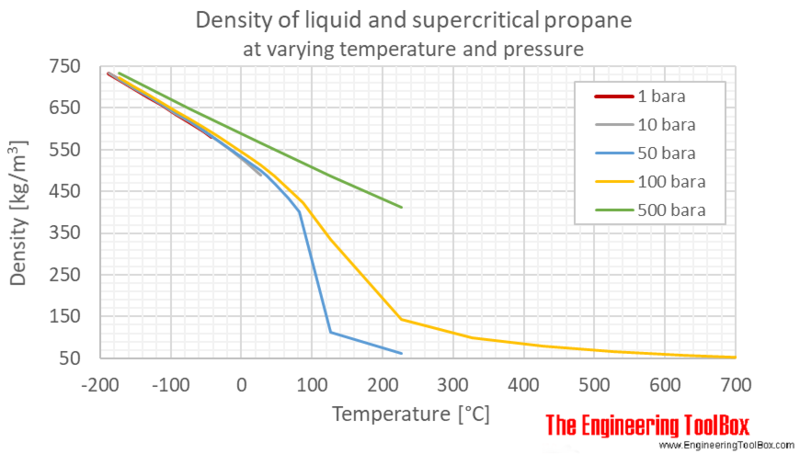 The output density is given as kg/m3, lb/ft3, lb/gal(US liq) and sl/ft3. Specific weight is given as N/m3 and lbf/ ft3. See also other properties of Propane at varying temperature and pressure: Dynamic and Kinematic Viscosity, Prandtl number, Specific heat (heat capacity), Thermal conductivity and Thermal diffusivity, and Thermophysical properties at standard conditions, as well as density and specific weight of acetone, air, ammonia, argon, benzene, butane, carbon dioxide, carbon monoxide, ethane, ethanol, ethylene, helium, hydrogen, methane, methanol, nitrogen, oxygen, pentane, toluene and water. 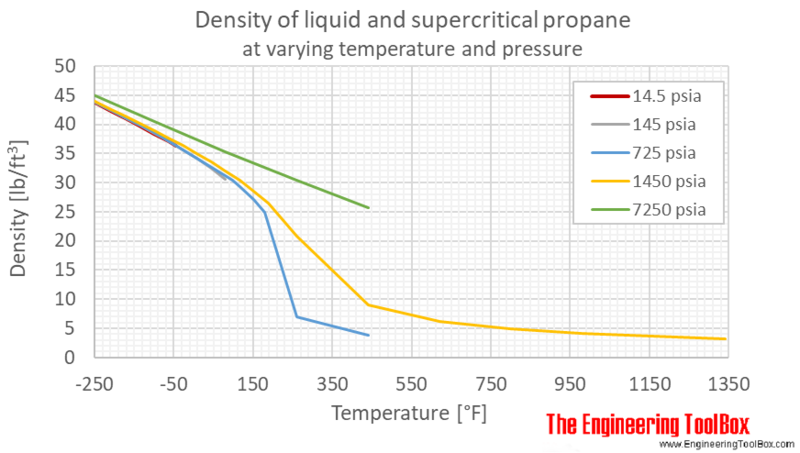 Density of crude oil, Density of fuel oils, Density of lubricating oil and Density of jet fuel as function of temperature. 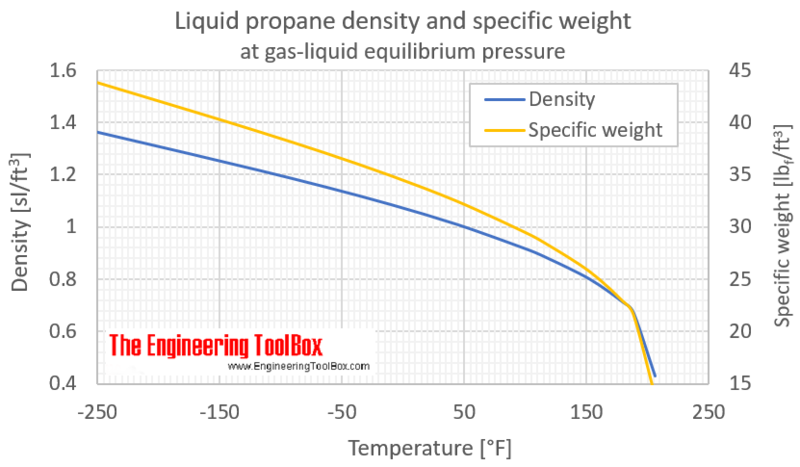 The density of liquid propane is nearly the same for all pressures up to 100 bara and 50 °C (100°F), and the density of the liquid at equilibrium pressure can be used for most practical purposes. For full table with Density and Specific Weight - rotate the screen! Engineering ToolBox, (2018). 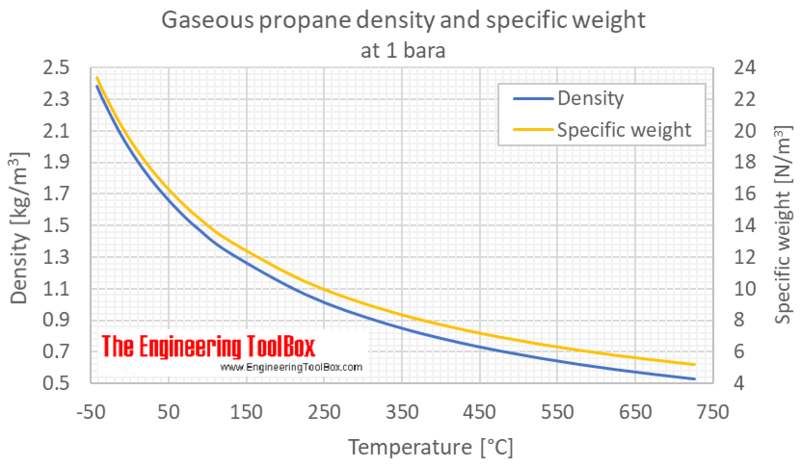 Propane - Density and Specific Weight. 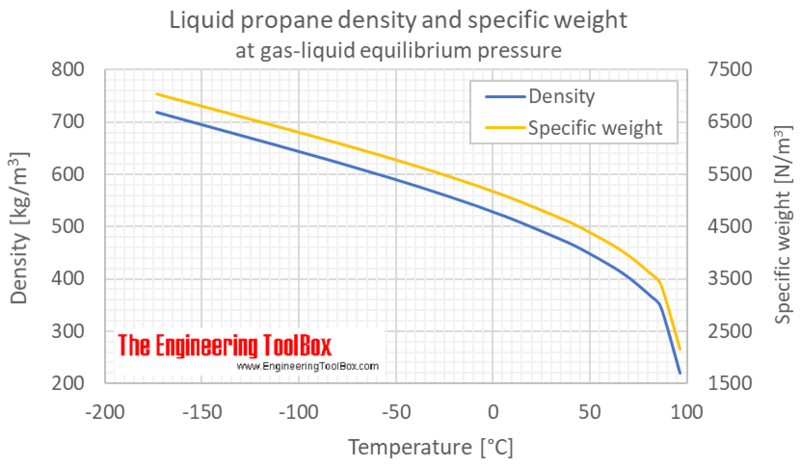 [online] Available at: https://www.engineeringtoolbox.com/propane-C3H8-density-specific-weight-temperature-pressure-d_2033.html [Accessed Day Mo. Year].